Spray 6- to 7-quart oval slow cooker with cooking spray. Place ham in slow cooker, sliced side facing up. In small bowl, beat brown sugar, honey, mustard and orange juice with whisk until well blended. Pour mixture over ham and between slices. 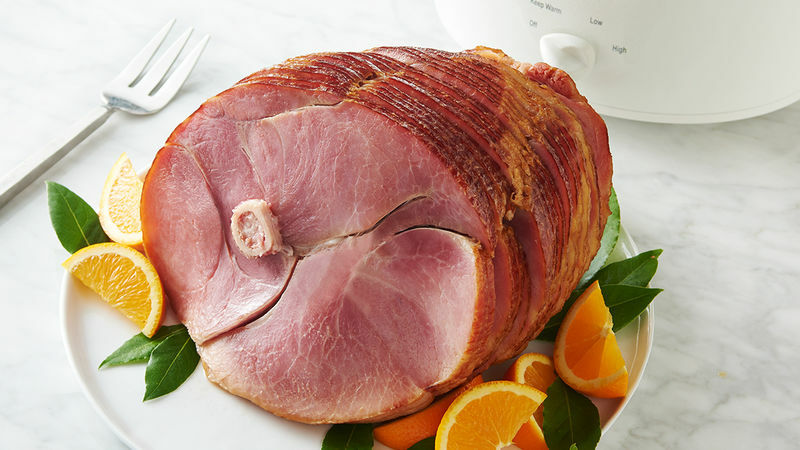 Cover; cook on Low heat setting 4 to 6 hours or until instant-read thermometer inserted in center of ham, without touching bone, reads at least 140°F. Serve ham with cooking liquid. For the prettiest presentation, baste ham with cooking liquid before serving. Spiral hams vary in shape. If yours doesn’t fit well in the slow cooker, trim off some of the unsliced side.